The burger and tater tots at Handlebar. 1) Some pretty significant changes are on the horizon at Handlebar, the burger- and tater tot-serving West Berkeley bar, Berkeleyside Nosh reports. The main thing is that owner Jennifer Seidman has brought on Farm League — the design and management group behind Tigerlily and a handful of other East Bay bars and restaurants — to tweak the overall concept and approach to service, which will now skew even more casual: Moving forward, customers will order food directly at the kitchen window — a more “fast-casual” approach that seems designed, in part, to keep down the bar’s labor expenses. Handlebar will close temporarily at the end of April, and when it reopens it will have a new name. Also of note: This means that chef and founding co-owner Roland Robles, best known as the proprietor of the popular Fiveten Burger food truck, is no longer involved — though he left on amicable terms, according Farm League’s Joel DiGiorgio. 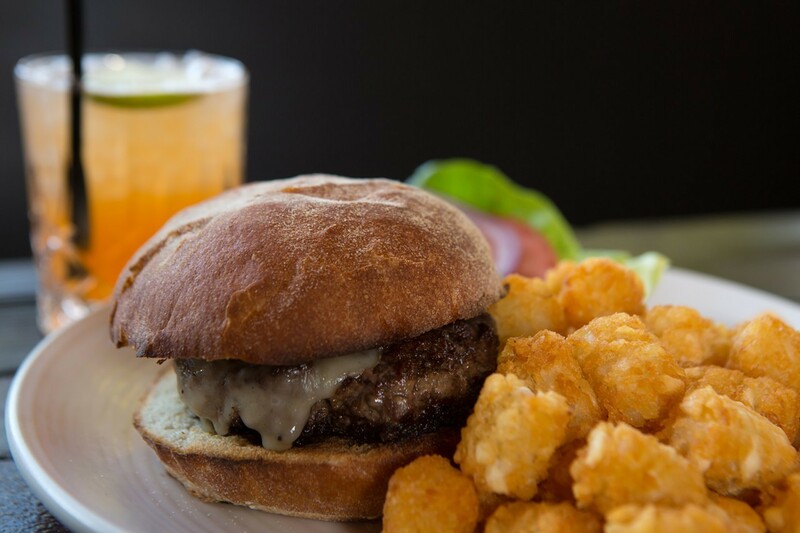 In an email, DiGiorgio said that Robles’ sous chef will take over the kitchen moving forward, which means that the old Handlebar burger and many of the bar’s other popular menu items — including those tater tots — will still be available. 2) After a few weekends’ worth of pop-up preview dinners, Itani Ramen (1736 Telegraph Ave., Oakland) — Hopscotch chef and co-owner Kyle Itani’s new ramen restaurant in Uptown Oakland — is poised to make its official debut on Monday, May 2, Inside Scoop reports. Chef Brian Ikenoyama will run the kitchen on a day-to-day basis, and he and Itani have put together a streamlined menu that will feature gyoza, a small assortment of rice bowls (including the “Egg 3 Way,” topped with uni, ikura, and a Jidori chicken egg), and housemade noodles for all of the ramen dishes. Good news for those of us who tend to get a late-night hankering for noodles: Itani Ramen will be open until at least midnight every night, and until 1 a.m. during the weekend. 3) Berkeleyside Nosh reports that the Cupkates cupcake truck and Stateside Bakery, the food truck’s affiliated brick-and-mortar bakery, have been sold to a new owner. Both the truck and the store will eventually be rebranded as Stateside Treats. Apparently, the new owner, Angel Cruzado, bought all of founder Kate McEachern’s recipes as part of the sale, and he eventually plans to add new items, including ice cream tacos. Cruzado told Nosh that he purchased the company a few months ago, but a recent post on the Cupkates Facebook page seems to indicate that Cruzado and his pastry chef, Erica Land, took over last June. 4) Ba-Bite (3905 Piedmont Ave., Oakland), the newish Middle Eastern restaurant on Piedmont Avenue, will start brunch service this weekend, with a particular emphasis on chef Mica Talmor’s takes on Ashkenazi Jewish breakfast dishes. Highlights include shakshuka, babka French toast, and a “Latke Benedict” (potato pancakes topped with poached eggs and housemade gravlax). 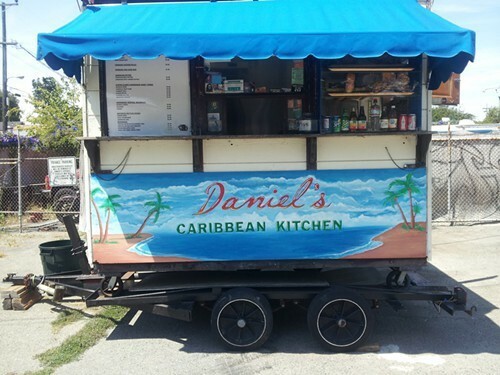 Brunch will be served Saturdays and Sundays, 10 a.m.–3 p.m.
5) Fans of the excellent rotis at Daniel’s Caribbean Kitchen might be wondering what became of the on-again, off-again mobile food trailer, which has been M.I.A. from its usual weekday spot in a West Berkeley parking lot. As it turns out, that lot — the former home of Jered’s Pottery — is being sold, so Daniel’s is looking for a new home. In the meantime, you can still find Daniel at the Ashby Flea Market on the weekend, and he’ s selling food to-go from his commissary kitchen via the online delivery service Caviar, Wed.–Fri. 11 a.m.–6:30 p.m. — Saturdays, too, whenever the flea market gets rained out. 6) Sweetgreen, the Washington, D.C.-based salad chain, is now open in the former Oscar’s spot at 1890 Shattuck Avenue in Berkeley, Eater reports. 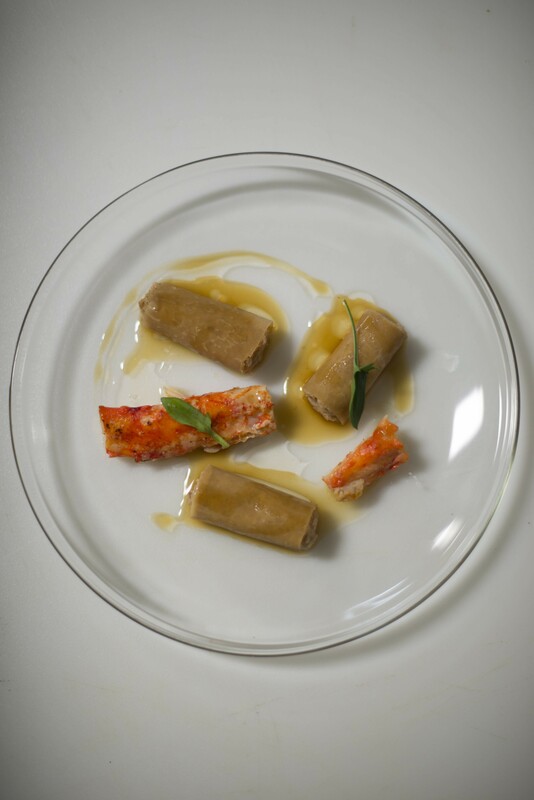 7) Inside Scoop reports that Peruvian chef Carlos Altamirano (Piqueo, the Sanguchon food truck, etc.) is expanding his plans for his restaurant in the Public Market Emeryville food court. Instead of an 800-square-foot kiosk, the new restaurant — dubbed Granja Eatery — will occupy 1,500 square feet and will include a bar. 8) A couple of noteworthy events coming up: Journeymen, the monthly pop-up dinner at Temescal’s Blackwater Station (4901 Telegraph Ave.), is gearing up for its next event on Monday, April 25, which will be a collaboration with Vancouver chefs Ashley Kurtz and Josh Blumenthal, who collectively go by the name “Elementa.” The $132.87 six-plus-course dinner (wine inclusive) will feature such dishes as a squid and lardo terrine, giant kelp noodles with wild mushrooms, and roast squab with a mille-feuille of peas and liver mousse. There will be two seatings: 6:30 p.m. and 9 p.m.
9) On Sunday, April 24, 2–8 p.m., beer guru Sayre Piotrkowski will be pouring Craftsman Brewing sour beers at Lost and Found (2040 Telegraph Ave., Oakland) to benefit Betti Ono Gallery’s ongoing effort to keep from being displaced from downtown Oakland. “I think the Oakland Craft Beer community owes some reciprocity to the Oakland Arts community,” Piotrkowski said in an email. “There are now nine beer gardens thriving in the downtown area and that would not be possible if people like [gallery founder] Anyka [Barber] and spaces like Betti Ono had not come first.” You can read more about the fight to save Betti Ono Gallery here and here.